on October 5th 2007 with a score of 94pts. at Upper Bucks SchH Club's Trial on April 28th 2007!!! Andy finished his Rally Title (RN) on October 7th, 2006 with a 2nd place score of 97pts. We attended Dock Dogs Big Air event at Cabela's in Hamburg, PA on October 6th 2006 intending to finish Andy's NJ title with one more jump in the NJ class...well he exceeded my expectations and jumped far enough to enter the higher Dock Dogs class of Junior Jumper (JJ). He needs 4 more jumps to finish his JJ title. Andy achieved his SchH 1 Title on 8-27-06!! 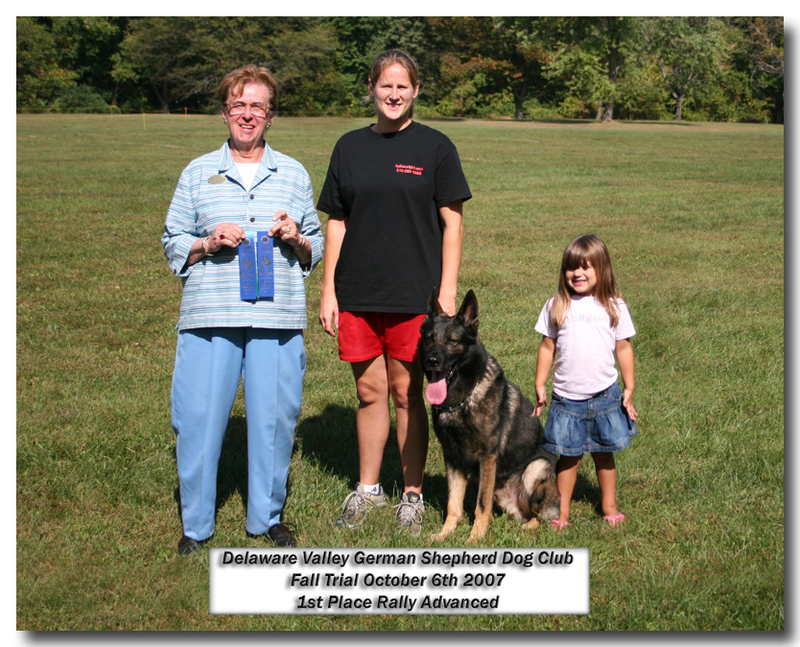 Evaluators comments: "You have a VERY nice dog there, he's the highest scoring and best dog I've seen today, this is what a GSD should be"
Andy finished his CDX on May 5th 2006 with a First Place score of 190.5 at the Northern NJ GSDC Specialty Show in Trenton NJ.